The supply chain software rebound is underway. Following a tough 2009, supply chain software was up in 2010. If you’re of a certain age, you may remember those crazy bounces you could get from a Super Ball. 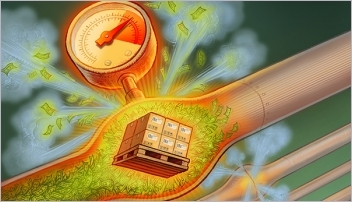 The image is an apt way of describing the bounce in the market for supply chain management software in 2010. 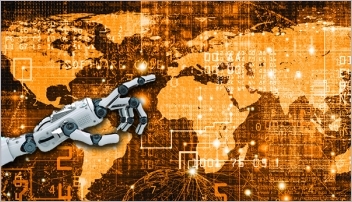 The worldwide market for supply chain management software applications, maintenance and services, or SCM, came in at $6.755 billion in 2010, including applications for procurement software, and nearly $4.6 billion without procurement, according to Chad Eschinger, a research director with . That’s an impressive 10% bounce over 2009. “It was a good, up year,” Eschinger says. That’s a bit of an understatement given that 2009 had posted a 1.9% decline over prior year revenues, the first year-over-year drop in revenues for SCM software since Modern began publishing an annual Top 20 list in 2001. When it comes to market leadership, 2010 reminds us of the lyrics from that old Billie Holliday song, “God Bless The Child:” “Yes, the strong gets more, while the weak ones fade.” The market leaders look much the same as they did in 2009, with SAP ($1.317 billion) and Oracle ($1.21 billion) still at the top of the list and posting impressive gains over 2009. They were followed by JDA Software ($362 million), Manhattan Associates ($136 million) and RedPrairie ($94 million), according to Gartner’s analysis. If there was a surprise, it was that Manhattan was once again atop RedPrairie; the companies had switched places in 2009 following Manhattan’s decline in revenues. Back then, Eschinger noted that despite the decline, he believed Manhattan was on the right path with its platform approach to the supply chain space—an observation that proved prescient as the company rebounded in 2010. One other important note: As Eschinger points out, SAP, Oracle and JDA account for 43% of the total software market while the remaining players—several hundred of them—comprise the remaining 57%. The strong gets more indeed. From a business standpoint, it was another year of status quo, with few mergers and acquisitions and few technological breakthroughs. The most noteworthy event was JDA’s purchase of i2 Technologies that closed in early 2010. If that sounds like what we published last year (or the year before), well, it’s a reflection of the times. Modern began tracking this space in 2001, following the Internet boom. The reason was simple: while materials handling is in our name, information about the movement of goods has become as important as the physical movement of goods. That’s where software comes into play. While we began by looking at the top providers of warehouse management systems (WMS), our focus has evolved along with the interests and job description of our readers as well as the supply chain software market. While the lines between supply chain execution (SCE) and supply chain planning (SCP) providers were once clearly drawn, that is no longer the case. To make our list today, a company has to supply more than one of the major categories of supply chain management software—planning solutions along with WMS, transportation management systems (TMS) and manufacturing execution systems (MES)—and they have to do so in North America. This is also a numbers game and not a value judgment. We based this year’s rankings on Gartner’s estimates of a provider’s annual sales for 2010. The one exception is Retalix, a provider not covered by Gartner, but which is relevant to our readers in the retail supply chain. Admittedly, this is an imperfect science. Gartner, for instance, strips out hardware sales from the estimates it provided us; it also strips out sales of procurement software since that isn’t relevant to our audience. Those are the reasons, for example, Gartner is crediting Manhattan Associates with $136 million when the company’s overall revenues were nearly $300 million. What’s more, Gartner does not follow the warehouse control systems or manufacturing execution spaces for their list. However, this is an apples to apples comparison. More importantly, whether you agree with all of the numbers or not, the order provides a good ranking of the major providers across the supply chain management space. Although there was little business news, there were several trends at work in each of the four categories relevant to our readers: ERP and SCP; warehouse management; transportation management; and manufacturing execution. Lack of visibility: Large corporations were left with too much inventory when the recession hit and too little when demand picked up in 2009. 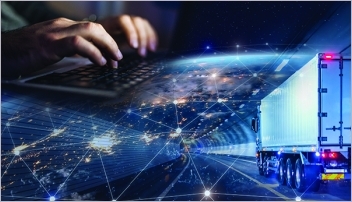 “Users are looking at applications like sales and operations planning, transportation management and asset management applications that can be leveraged to track goods in motion,” Eschinger says. Enabling corporate strategy: Everyone wants to reduce costs, but increasingly businesses are targeting supply chains to improve overall corporate viability, especially customer service. 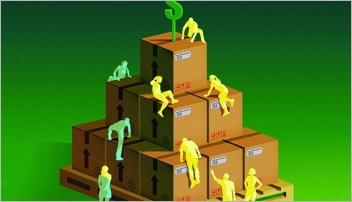 Total landed cost: Blame high transportation costs, increasing wages in emerging markets and multi-channel sales and distribution strategies, but companies are taking a more analytical look at what it costs to fill an online order versus a store and what is the total cost to source in Mexico versus China. WMS: Like supply chain planning, the market for WMS grew nearly 10% in 2010, from $1 billion to about $1.1 billion last year, according to Steve Banker, service director for supply chain management for . Looking forward, Banker is predicting year-over-year single digit growth for the next five years. MES: The market for MES reached an estimated $3.25 billion in 2010, about half of which applies to solutions for the discrete manufacturers that comprise Modern’s audience, according to Greg Gorbach, vice president of collaborative manufacturing at ARC. Not only has growth returned to the market, Gorbach expects the MES space to grow at roughly 10% a year for the next five years. The most significant driver for MES in recent years has been the need to connect the plant with the rest of the business. However, Gorbach sees four “megatrends” driving MES, including the rise of emerging markets; changing workforce demographics; the availability of cost effective technology tools; and environmental concerns. “Each of these is going to require manufacturers to become more innovative in their processes and that opens the door for MES,” Gorbach says. Modern’s 9th-annual survey of the leading SCM suppliers finds that the market for supply chain software took a hit last year, but things are beginning to look up.